What is the Quietest Electric Space Heaters? Electric space heaters are a nice convenience but can be annoying if they are loud buzzing or hissing while putting out heat. 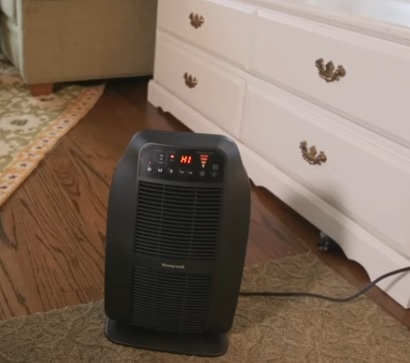 Having a quiet electric space heater can no-doubt help make a home more comfortable. So what are the quietest space heaters? There is different types of technology used with space heaters making some of them less noisy than others. Here is a break down of the silentest type of units. Oil filed space heaters work by radiating out heat from the unit. They work well and are good at maintaining a rooms temperature. They also are one of the more cheaper type of units to run and use less electricity than many other types. Since the heat is radiated out and no fan is used they work quietly sending out heat. Flat panel heater have become very popular since they work quietly and can be mounted in different ways. They can be mounted on wheels and rolled about or mounted on a wall which clears up more space. They are quiet units and have most have safety features such as thermal cut-off, so it doesn’t overheat, and internal tip-over switch. Infrared heaters are also quiet to use and work very well. The most popular is Dr Infrared but there are many units available. Units like Dr Infrared have low noise blower to push out heat which makes them very silent. They also heat up a space quicker than older ceramic element type units. There are many types of quiet space heating units with those above simply ones I have found to work well. If you have a loud unit than there are many low cost affordable models to pick from that make little to no noise. Be sure to read the reviews on a unit on Amazon or elsewhere to be sure a unit is a good fit for you.